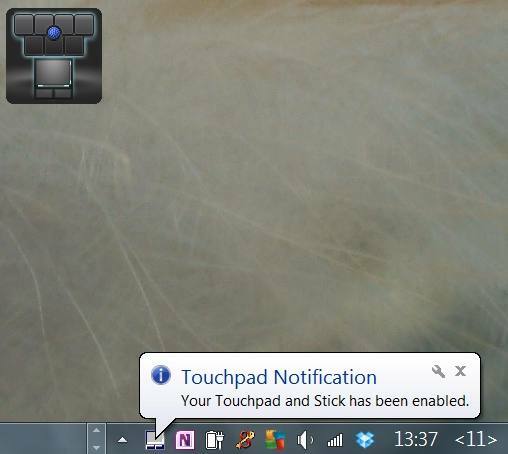 This has a nice app which sits in the system tray and is controlled by Fn + F5 – which can be used to turn off the touchpad – this is useful if you use a mouse. 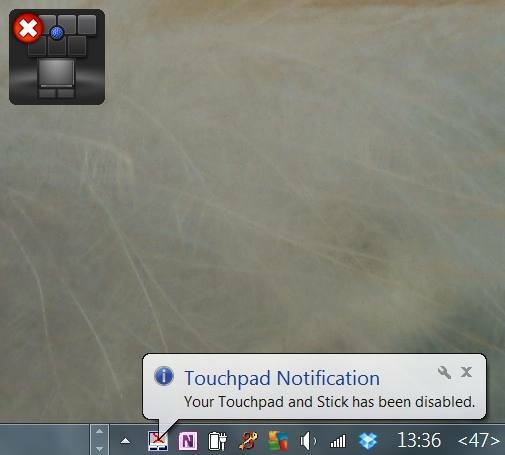 I would find that when I type, my wrist would brush the touchpad and randomly move the cursor – it’s nice to be able to turn this off when you don’t need it. 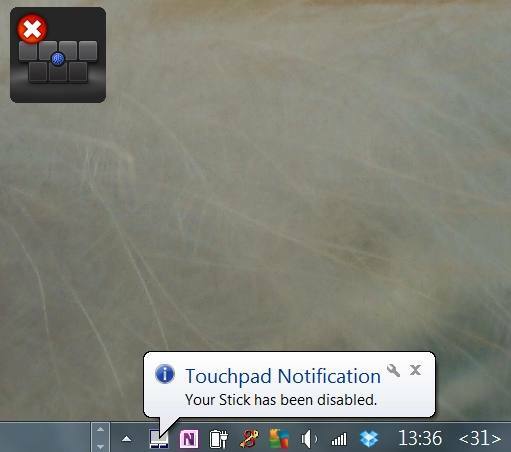 Following this my Trackpad control disappeared, leaving just the Touchpad and mouse, as shown below. 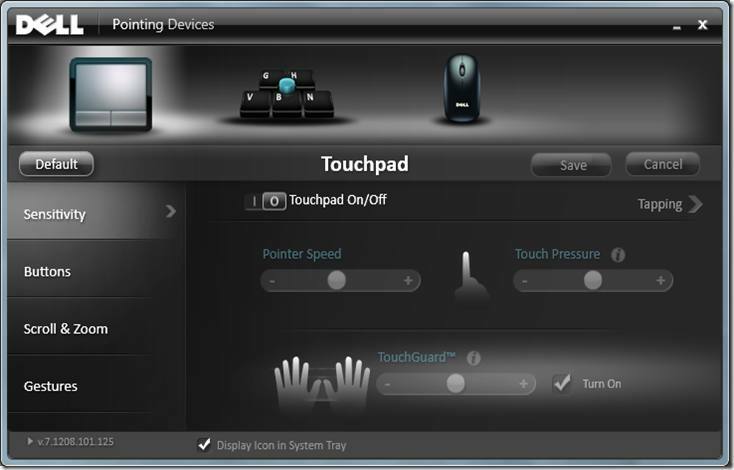 My touchpad control looked like this, and despite the item “Display Icon in System Tray” being checked, no icon appeared. 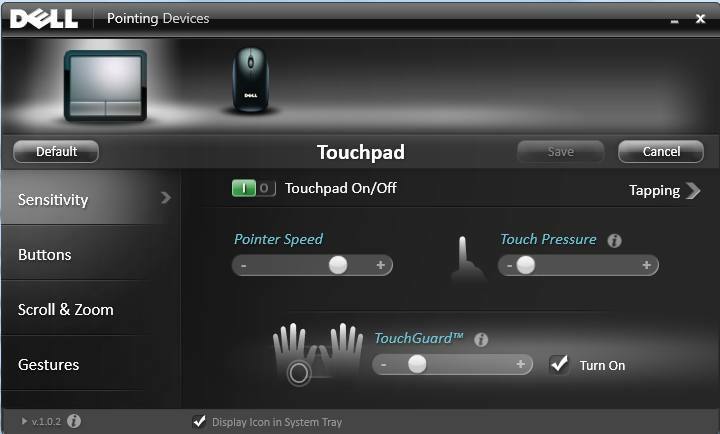 Apoint.exe (the touchpad software) is shown in Device Manager as loaded – but the tray icon was not present. I tried uninstalling the touchpad driver and reinstalling the original, I tried System Restore also, but nothing would bring back the original configuration. I then installed the original driver DELL_MULTI-TOUCH-TOUCHPAD_A10_R315893.exe, restarted my laptop and the missing Tray Icon and functionality returned.